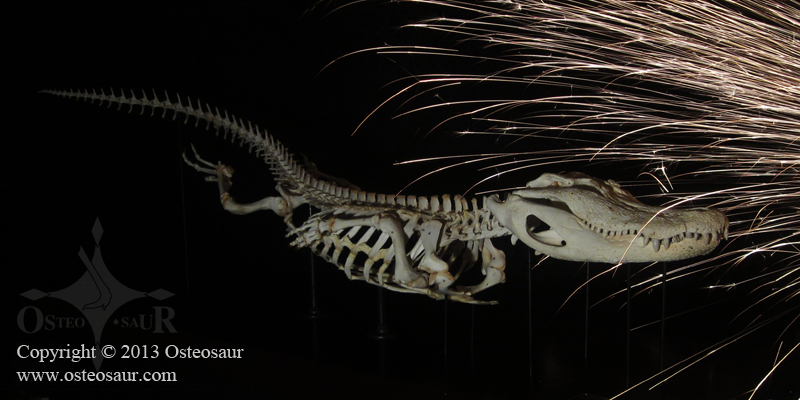 Welcome to the brand spanking new website of Osteosaur! We specialize in custom skeleton articulation. There are no species too large or too small! We pride ourselves in anatomical accuracy, and we follow all federal and state regulations. Our museum quality pieces can be mounted to hand-crafted wood stands, hung from ceilings, or can be completely free-standing. We have also expanded our website to include photography, traditional art, and t-shirts. WE ARE CURRENTLY UNDER CONSTRUCTION. CHECK BACK REGULARLY FOR UPDATES!! 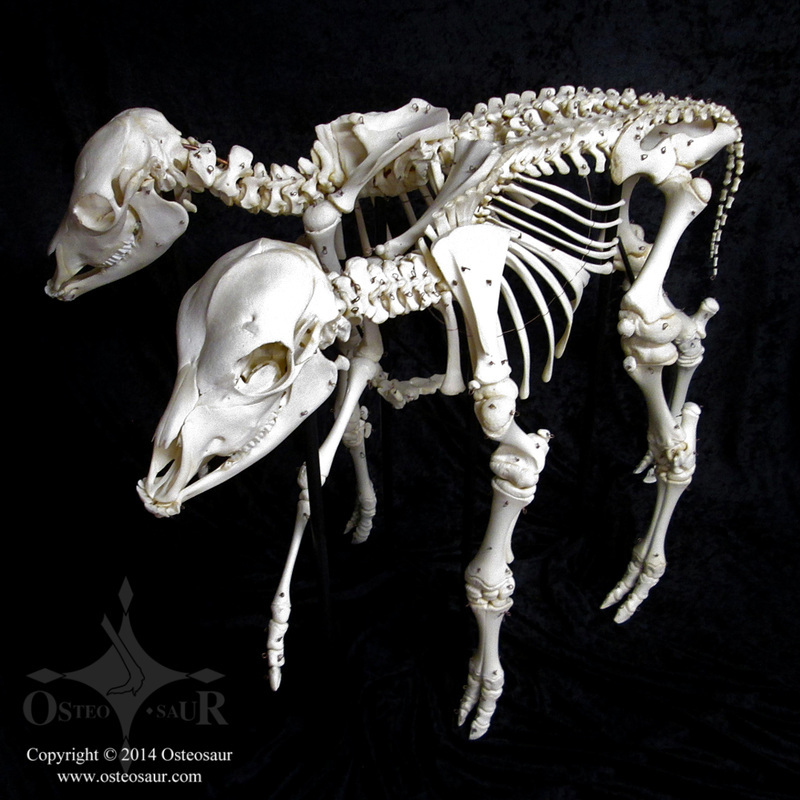 Ever wonder what it takes to assemble animal skeletons? Well...lots, but here are some great photos of the process. When the hard work pays off. 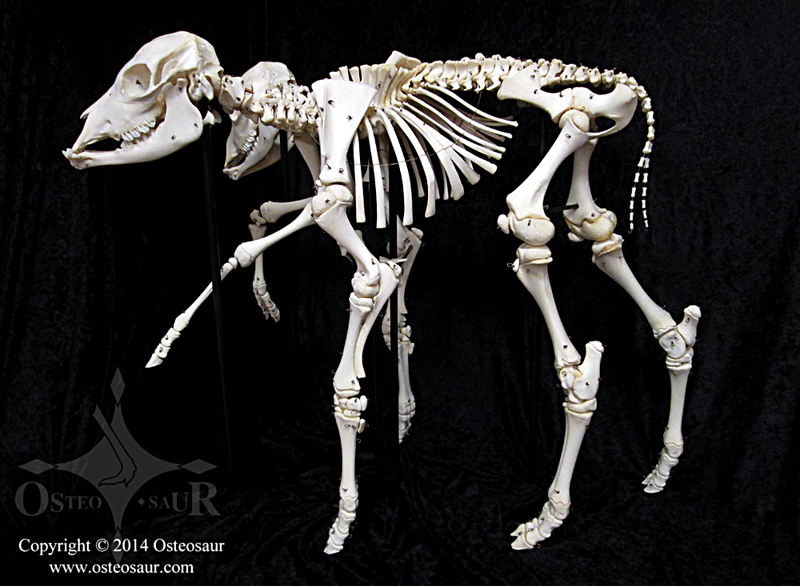 Click here to view a online gallery of all of Osteosaur's finished skeletons assembled to date. Take a look at some of the shows and galleries we've been a part of in the past. The hard work does pay off in the end! 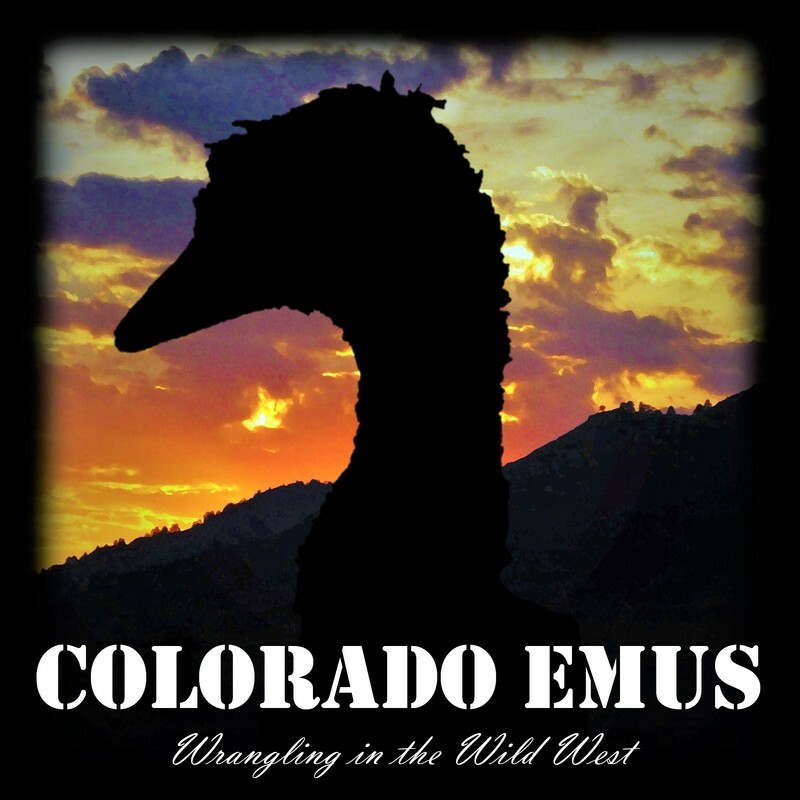 "Science, artistry, and educational value"
Osteosaur Productions is proud to present Colorado Emus! This short documentary takes viewers inside the world of emu ranching and research. When emus need to be moved to a new ranch, they must be loaded into a trailer...no easy task. See emu wrangling in the wild west, and the people who truly care about these fascinating flightless birds. Colorado Emus highlights the amazing videography of Nicholas Mahler and Wilson Puryear, and world-class marimba music by Maria Bailey! If you cannot attend these events, and are interested in purchasing Colorado Emus please contact us! 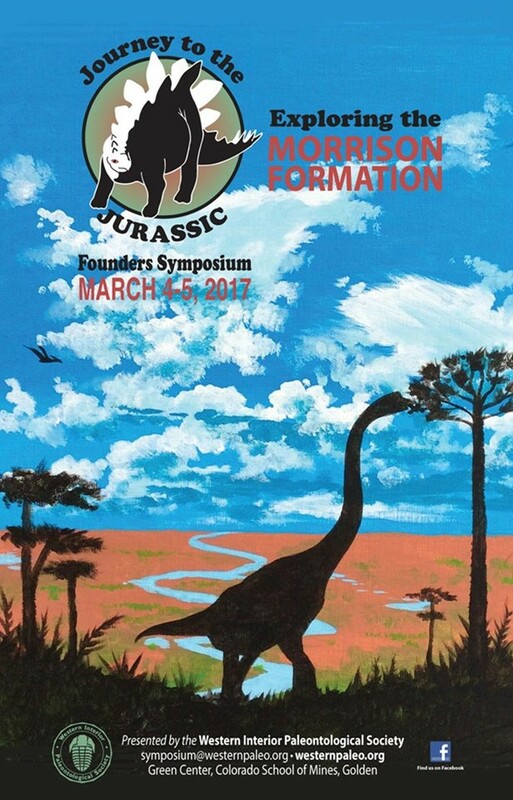 Osteosaur will be making an appearance at the 2017 Western Interior Paleontological Society Founders Symposium on March 4th and 5th. Come see our booth at the Green Center at Colorado School of Mines (Golden, Colorado)! You may have noticed an Osteosaur skeleton pop up on the Good Mythical Morning YouTube channel this week. The emu skeleton appeared on a 2012 issue of Emu Today & Tomorrow, which was selected as one of the "Six Magazines You Won't Believe Exist" on the episode. Check it out! Todd was quoted in a new National Geographic article. No bones, but this is an interesting article about the emu meat industry. 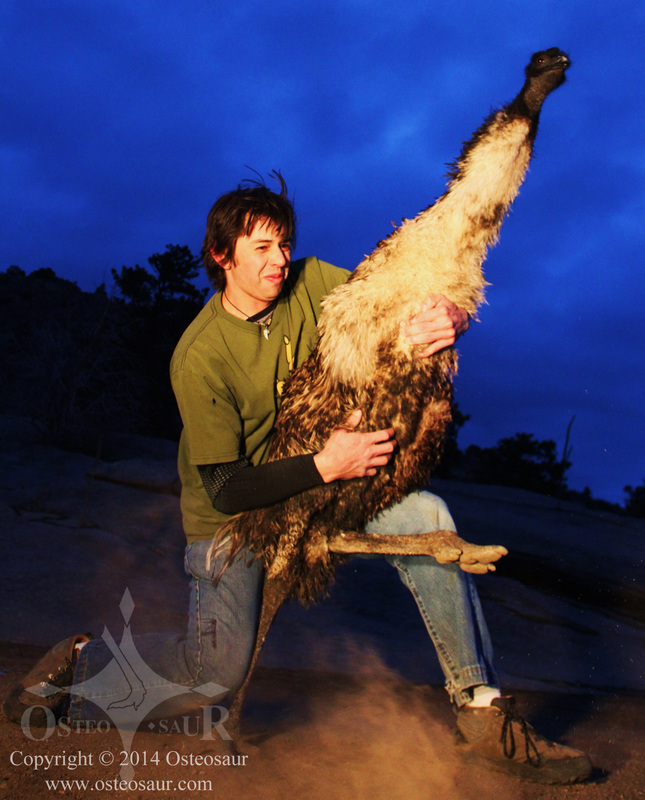 The story centers around the American Emu Association, and their progress since the early 1990's. Osteosaur's owner will start a doctoral program in Anatomy and Vertebrate Paleontology this fall. Todd Green will be attending classes Oklahoma State University's Center for Health Sciences in Tulsa, Oklahoma. 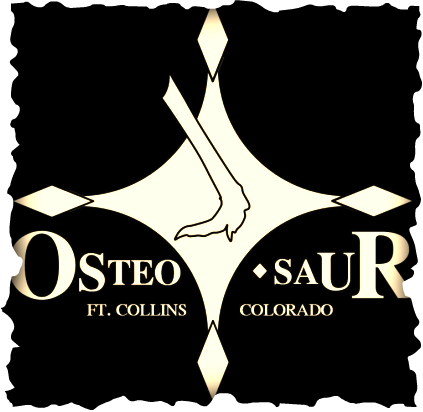 Although this may slow production with Osteosaur, we are still happy to help you as much as possible! 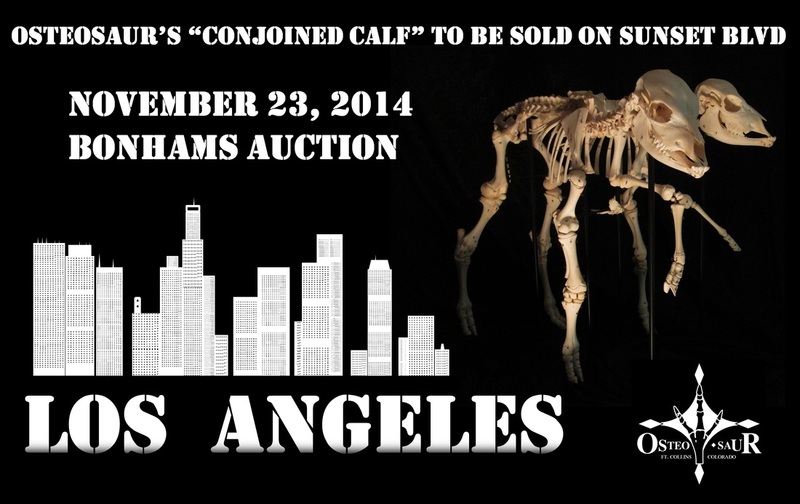 11.8.2014 CONJOINED CALF TO L.A.
After a brief move to Manhattan, our conjoined calf skeleton will travel to the West Coast. The Evolution Store will be auctioning off the skeleton and taxidermy mount through Bonhams' Los Angeles location. The auction will take place November 23, 2014 at 10am PST. 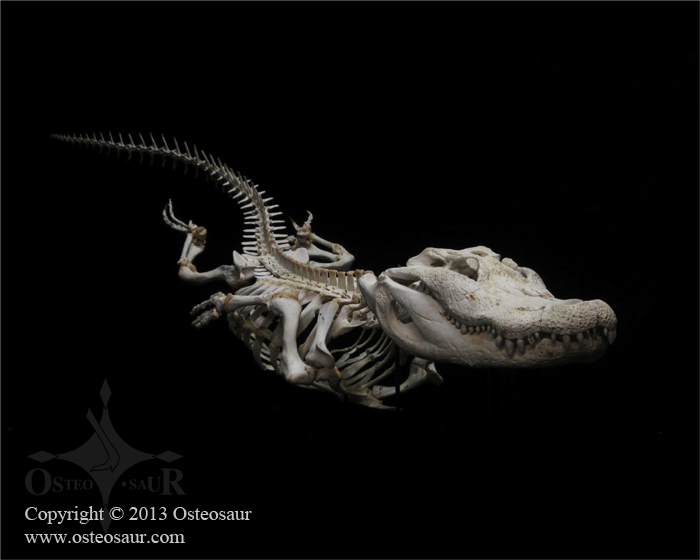 Osteosaur's newest skeleton articulation is a conjoined calf! This animal had two heads, two tails, six legs, but only one pelvis! Although rare, conjoined twins have been﻿ known to occur in a number of vertebrate species. Check out more photos of this/these calves on our Skeletons Archive page. This March, Osteosaur was mentioned in a National Geographic online article! A giant oviraptor dinosaur (Anzu wyliei) was recently named, and Todd Green (Osteosaur owner) was interviewed by writer Peter Miller to discuss similarities between oviraptors and modern ratites (emus, cassowaries, ostriches, rheas, & kiwis). 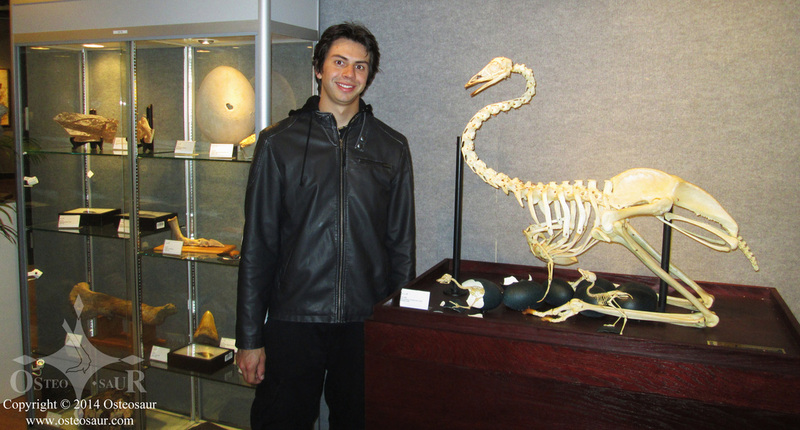 Green also elaborates on his research with ratite birds, and his "emu wrangling" experiences. This 11-foot long, North American dinosaur has been playfully referred to by researchers as "The Chicken from Hell" because of its bird-like skeleton. 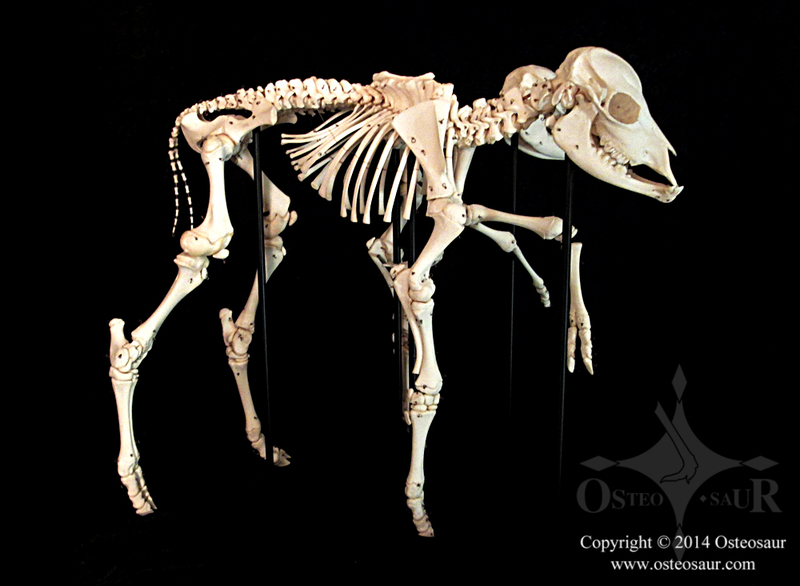 Emu skeleton on GeoDecor's website. Emu on Nest with Chicks is now in Arizona, and will be shown at the 2014 Tucson Gem and Mineral Show. The skeleton can be viewed at the GeoDecor Fossils and Minerals Gallery January 30 - February 12. 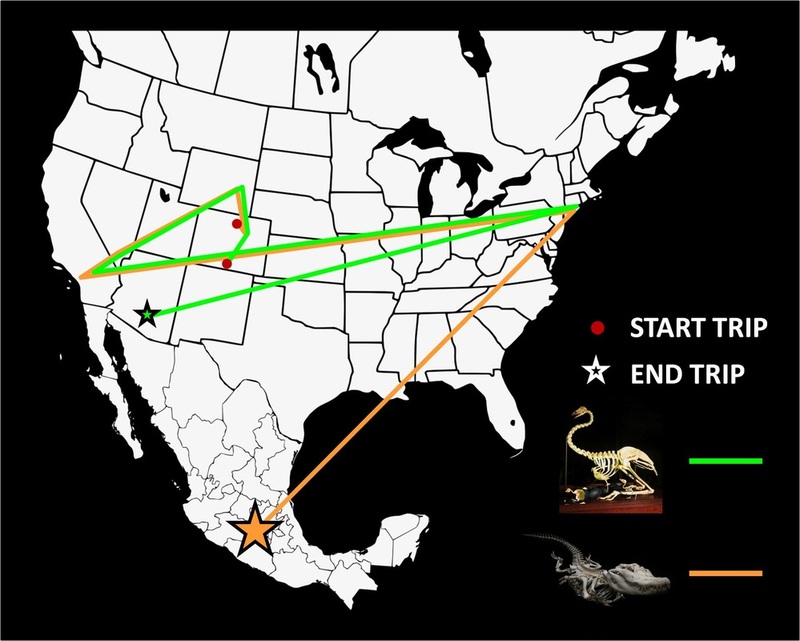 Two of our pieces (9-foot Swimming Alligator & Emu on Nest With Chicks) have traveled quite far in 2013! Osteosaur did very well in the Bonhams Auction in New York City! Our 9-foot Swimming Alligator sold internationally! It was a wonderful event! If you find yourself in the greater New York area this week, come see Osteosaur's emu and alligator skeletons in the Bonhams "Dueling Dinosaurs" auction! 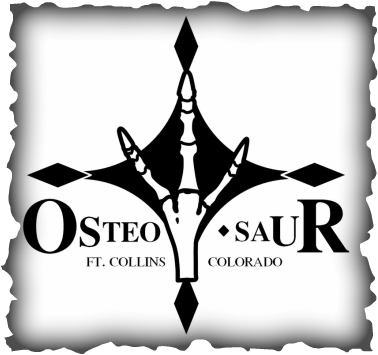 The Denver Post printed an article Saturday, October 19 about Osteosaur's 9-foot alligator skeleton. Check it out and learn more about "Ellie"! What a great time at the Denver Gem and Mineral Show last weekend! We met some wonderful folks, and saw some amazing specimens. Best of all, two Osteosaur pieces (9-foot Swimming Alligator & Emu on Nest With Chicks) will be sold at a Bonhams and Butterfields auction in Manhattan, New York in November. This auction will consist mostly consist of fossils, including the well-known "Dueling Dinosaurs" from Montana. It is truly an honor to be part of this event! 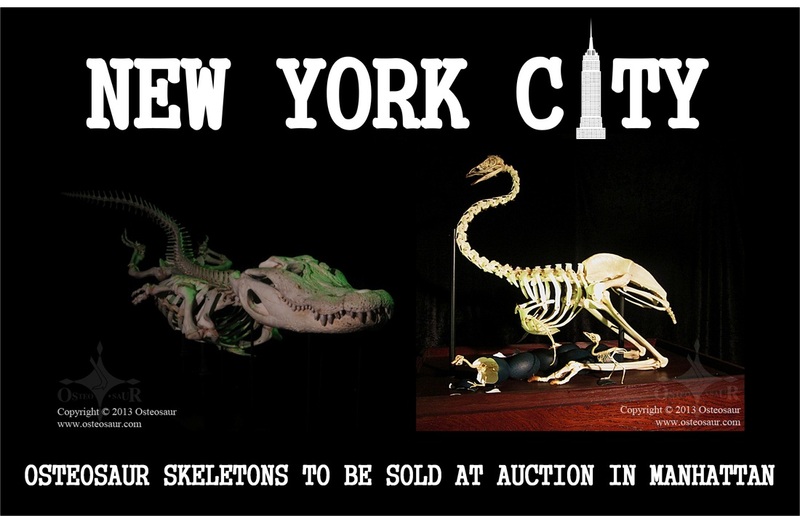 If you are in the New York area November 19th, come see the skeletons and watch the live auction! We're exhausted, but we finally finished it! Our 9-foot long alligator is the largest crocodilian Osteosaur has articulated to date! This gator came to us after a long life (26 years) at Colorado Gators, a reptile rescue in Mosca, Colorado. Come check out Osteosaur's new huge alligator at the Denver Gem and Mineral Show (The Bone Room table). 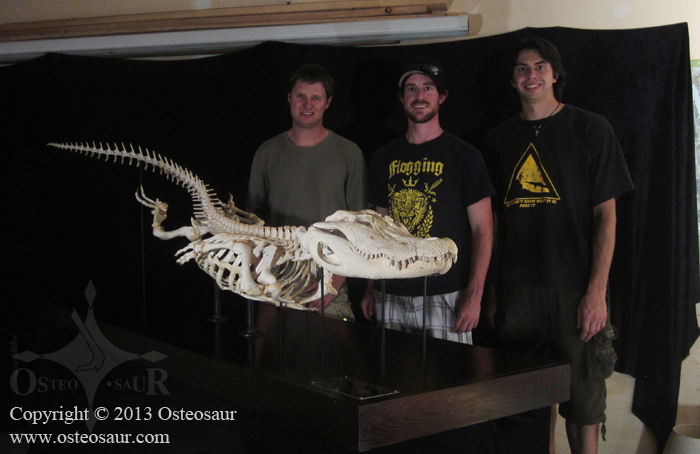 Tim Carlton, Nick Mahler, and Todd Green standing behind the recently completed 9-foot Swimming Alligator (A002).